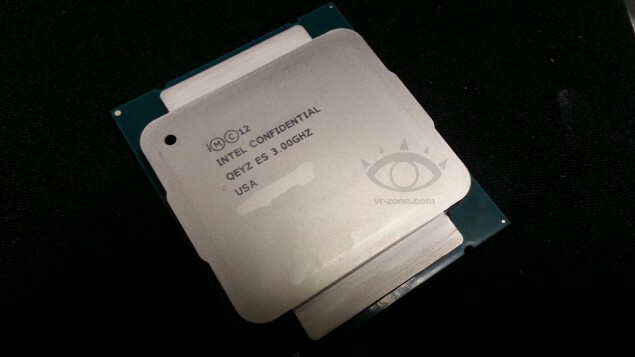 Intel’s first 8-core high-end desktop processor based on the 22nm Haswell micro-architecture is not due to arrive until 2014 but the folks over at VR-Zone managed to take a shot of the new processor. The Haswell-E processor has a 3.0 GHz clock speed, supporting 8-core and 6-core processors at 140W TDP and will be the first desktop processor to feature support for quad-channel DDR4-2133 memory. Aside from new memory support, the Haswell-E processor features 40 lanes of PCI-E 3.0 for discrete graphics. This new processor will use an LGA2011-3 socket but unfortunately will not be compatible with current X79 mainboards.